What’s behind the importance of Remote Monitoring and Management (RMM) tools in the partner universe? As Techopedia helpfully explains, RMM is the “proactive, remote tracking of network and computer health”, and typically delivers a set of IT management tools that enable technical staff to maintain service delivery more efficiently and productively - like trouble ticket tracking, and remote desktop monitoring and support. But, inevitably, not all RMM solutions are created equal. So what is it that makes for a RMM tool that keeps your customers happy and your support teams’ productivity keen? “The choice you make when selecting RMM software often boils down to the best combination of integration, deployment and automation characteristics”, writes SearchIT Channel’s John Moore, and to my mind, deployment ranks right at the top of this hierarchy. Why? Because the less you can disrupt your (and, by potential extension, your customers’) business with your RMM deployment, the better. So look for solutions that can deploy selectively to one device or a group of devices, and to one location or multiple locations, in one smooth movement. Consider the hardware onboarding, too; automatic provisioning is far less disruptive than manual, but Mobile Device Management (MDM), for example, will need to be cross-platform (iOS and Android) and offer easy enrolment and configuration functions. Ultimately, you need to be comfortable with the vendor’s and solution provider’s role in all this, too. What sort of hand-holding or on-boarding will you receive during those crucial first few weeks? Is it restricted to self-help online tutorials, or will it follow a structured statement of work delivered by an engineer on a 1-to-1 basis? And will they offer you any kind of satisfaction guarantee to protect you against the potential infelicities that shifting a hefty slice of your business productivity to a single platform could occasion? Much of this is driven, in reality, by whether you choose a cloud-based RMM platform or an on-premise one – so shop around for solutions providers who offer options, to enable you to properly balance risk and return. RMM can’t effectively monitor or manage anything unless it’s pointing to the right sources of information, and has within it the appropriate management tools. Your RMM solution needs to work tightly with customers’ workstations, servers, printers, routers and mobile devices, but you also need to be able to slice and dice the monitoring and management by whatever criteria suit you best in any particular situation – by OS, by application, by location, and so forth. The more geographically, technically, and logistically complex your and your customers’ operations, the more beef you need under your RMM bonnet! Whichever kind of RMM you deploy, users have to be able to use it! For partners and MSPs, that’s principally operators in their own organisation (technical support staff, or perhaps, on occasion, account managers) but customers might need access to the solution, too (in a corporate enterprise deployment scenario, for example) . Either way, complexity can spell disaster. The Standish Group, a research outfit that tracks corporate IT purchases, has found that complexity is at the root of some 66% of all IT project failures or late deliveries. Consequently, your RMM solution has to be built on intuitive features that are easy to master, should be able to orchestrate workflows to prevent human error, and must generally reduce the learning curve for the operators. Look in particular for features like pre-configured groups, searches, templates and schedules, so that your teams don’t have to hand-craft monitoring and corrective routines on a day-to-day basis. Related to what I said above about training, automation is the secret ingredient in making an RMM solution function effectively out of the box, and therefore enhancing the productivity and customer satisfaction it can deliver. But be wary: you need to get to the bottom of how quickly and precisely you can choose which of the hundreds of automated elements should be ‘on’ and which should be ‘off’. Does it involve cumbersome, costly trawling through countless groups, and individually cherry-picking the elements? In the search for RMM zen, not all automation is nirvana! Of course, none of this really works for your customers at all if your RMM solution’s remote support capability is lacking. If you can’t easily deliver support straight to a user’s screen, you’re not providing much of a service. In an ideal world, the “stealth” functions of the RMM platform – the ones that enable you to support customers by making helpful changes and adjustments to their machines without them even knowing, and without interrupting their work – rule. But sometimes, interrupting the user is unavoidable. Whichever situation you find yourself in, prefer a RMM solution with a native remote support capability, rather than a connection to a third-party one. The former is controllable from within the solution itself, with one click, alongside all the solution’s other functions (the oft-cited “single pane of glass” approach) and will deliver a more seamless support experience to the end-user. Finally, integration looms large on many MSPs’ and resellers’ RMM agendas. The ability to work with a “supporting cast” of existing applications (including security) not only diminishes customers’ operational headaches, it also creates a three-stage virtuous commercial circle. The RMM solution becomes saleable because it works securely with existing applications sold by the partner, enabling it to potentially add an extra revenue stream to each customer. New applications become saleable because they can be easily controlled thanks to the RMM solution, enabling the partner to into existing customers. And for new customers? Rinse and repeat on both counts! RMM: which solution to choose? Essentially, it boils down to this: MSPs and resellers don’t know how their markets are going to diversify in the future. They may be selling one kind of service today, tomorrow it could be another, depending on where there’s profit to be made. But they’ll all be online, they’ll all be remote, and they’ll all bankrupt the partner if they don’t integrate with a RMM solution that helps to transform the burden of keeping the service running into a highly automated – rather than costly manual – process. One RMM solution to serve them all? Now that would be a great thing to sell. Posted in Managed IT Service, RMM, Uncategorized. Tags: Managed Services, Remote Monitorin, RMM on 22/02/2016 by MarkCharleton. Are you attending CompTIA EMEA Member and Partner Conference 20th October 2015? If you haven't yet registered to the Comptia event at 155 Bishopsgate London please go to https://www.comptia.org/emea/home it would be great to see you there. Blue Solutions was founded in 2000 with a clear mission: to enable IT channel partners to sell managed services software that would boost recurring revenues, strengthen margins, and clearly differentiate their offerings in a crowded market. As key vendor partners like AppRiver, Bitdefender, Censornet, DataFortress, Malwarebytes, Microsoft, Phish5, Redstor, Symantec, TrendMicro, and many others will testify, we’ve been succeeding at it ever since. The bottom line of it is we enable our partners to build profitable, regular revenues, by delivering what their competitors can’t – compelling, diverse, scalable managed services, at low cost, that delight their end-users. So if you’re serious about growing your business, don’t miss this opportunity to expand your knowledge and to hear from our vendor and industry experts please feel free to book a time with Barry Atkinson, Emma Wale, Lee Walker or Israel Azumara to discuss Blue Solutions our vendors in more detail. If you have queries please call 0118 9898 222 and request to speak to any of the names above regarding the event. Posted in Backup, Blue Solutions, Cloud, RMM, Security, Uncategorized, Viruses on 16/10/2015 by MarkCharleton. As an MSP, you have two choices. You can be your own boss, be passionate about the work you do and work hard for your success. Sound good? Option two is even better. With the right preparation and foundation, you can have a business that runs so smoothly and effortlessly that you can finally take a real vacation. Running your business with an eye on growth means changing your mindset and your business focus. Continuous growth is the goal, since it means expanding profits and staying a step (or several) ahead of your competitors. The market changes fast, but the more proactive you can be, the more you’ll be able to offer your clients. The more they depend on your services, the faster you’ll see growth in your company and your bottom line. Security continues to top the list of your clients’ biggest concerns, so find a strong security platform that keeps them protected without risk. Find the perfect balance between mitigating risk and hindering productivity. How many devices do you have? Chances are you’ve got more than one, and so does every end user you support. Enter the shift to by user management instead of by device. Make sure you’re staying ahead of the game by supporting multiple devices. Data, devices and people are quickly intertwining, giving MSPs the chance to offer a number of ‘smart’ devices and opportunities. The market opportunity for the Internet of Things (IoT) is huge, so watch this one grow in the next few years and see how you can get on the bandwagon. In a nutshell, virtualization allows multiple operating systems to run on one physical piece of hardware. This cost-saving trend will easily catch clients’ attention, so be sure to stay informed of what it offers. Regulation and compliance requirements are an important and challenging task for many organizations. Wrap your head around the details for a few relevant verticals, and start reaching out to offer this vital service to new and current compliance-reliant clients. Keep a close eye on these trends as they come to life, and be ready to answer any questions your clients might have about them. The more you know, the faster you establish your place as a trusted advisor—and the more your clients will thank you. Posted in Blue Solutions, IT Automation, LabTech, Managed IT Service, MSP, RMM, Small Business on 07/08/2015 by MarkCharleton. As a managed service provider (MSP), chances are you have a desire to take your business to the next level. The MSPs that are successful in this endeavour have a key ingredient in common: they are armed with the right tools for growth. The most critical tool for success in this business is a powerful remote monitoring and management (RMM) solution. Automate any IT process or task. Work on multiple machines at once. Solve issues without interrupting clients. Integrate smoothly into a professional services automation (PSA) tool. Manage everything from one control centre. 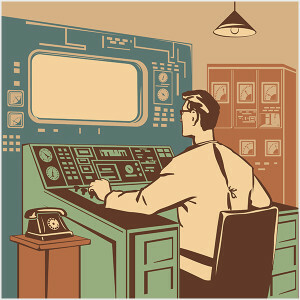 The control centre for your RMM solution should be the cockpit for your service delivery. Having the ability to manage aspects that are directly related to service delivery such as backup and antivirus from the same control centre keeps your technicians working within a familiar environment and speeds service delivery. Also, it cuts down on associated training costs by limiting their activities to the things that matter on a day-to-day basis. Contact our Sales Team today on 0118 9898 222 for a demonstration of RMM software. Posted in Blue Solutions, IT Automation, LabTech, MSP, RMM on 12/05/2015 by MarkCharleton. From software installation and set-up to managing networks, MSPs/IT service providers often have never-ending to-do lists. While problem solving for clients, they need to find answers to their own questions to help them run their businesses. If you type ‘MSP/IT service provider’ into Google, you’ll find never ending pages for back-up, security, cloud solutions etc. Before you commit to buying any new services, do some research on the industry. For example, industry trends, current customers’ peak network and server usage times. Think about your clients’ requirements, are their businesses growing? Is there a particular IT issue that’s caused a problem that you can help with? Don’t forget that speaking to your industry peers can also help; the insight you can gather from speaking to others at forums and conferences can keep you informed and ensure you provide solutions that clients want. Running multiple clients networks creates a lot of opportunities but also means an MSP/IT service provider’s time and resources are stretched. Juggling tasks, responding to queries and keeping customers happy can make your days longer than they need to be. MSPs/IT service providers should take a look at where they can use solutions that will make this ‘juggling act’ easier, while providing greater value to any clients. For example automation tools can reduce the time spent on certain tasks, reduce costs and increase efficiency. Also, with a back-up and disaster recovery solution, MSPs/IT service providers can show customers they are efficient in the way they can pre-empt issues (e.g. being aware of a server running out of space before it affects a client’s business operations). Following on from my previous point – reducing costs and improving efficiency is key to maintaining a thriving business. One of the tools available to help MSPs/IT service providers with this are IT systems monitoring & management platforms, which remove time-intensive and repetitive support tasks. These solutions become a necessity as you scale your business and its service delivery model. Whilst many will provide out-of-the box automation of common IT tasks, in some cases creating an automation policy (script) may be required to address a particular time-hog. It is important that the platform allows for comprehensive scripts to be created, through an interface that exposes the functionality to even the novice users, making it easy for them to build policies that will automate repeatable work. The scripting engine must be intelligent enough requiring minimal user input, yet working in harmony with the platform’s many facets such as monitoring, ticketing and time entry functionalities. Ultimately it doesn’t matter if the newly created policy is going to run on two machines or 2,000, it must do the exact same thing in the same amount of time in every single occurrence. Once the repeatable tasks have been automated, a review schedule should be created to periodically assess and improve the service delivery as it evolves and the business will reap the benefits. It could be summarised that a business can scale only as much as its individual processes do. I’ve heard this comment from a business owner: “The main component is the consistency of approach not necessarily the back-end technology. The platform must enable you to create repeatable, improvable and scalable, automated processes, which can potentially deliver unlimited value at marginal cost”. Constant changes to technology and customer requirements means MSPs/IT service providers are always trying to manage costs and maintain profits. Many of them are finding a way to do this by joining MSP partner programs. Joining these programs gives MSPs/IT service providers a business model that fits how they work. When looking for a program some other points to consider – will the program help you to manage billing your clients or which tools are available to help you run your business efficiently? Above all, will joining the program grow your business? So, while MSPs/IT service providers are busy running their businesses, where do they find the time to stay up-to-date on the latest products and industry news? To be honest this isn’t always possible. So looking out for vendor materials that cover different industry topics can save you a lot of time and keep you on top of everything. Make use of free e-books, webinars, videos, online demos and white labelled content (that you can brand). This will save you the time and trouble of trying to create your own content, as well as helping to answer clients’ queries. Let’s not forget about the admin! A lot of us have never liked doing admin – and this won’t change! But it’s something that MSPs/IT service providers need to manage well to avoid payment delays and ‘slowing’ their businesses down. For example, think about your invoicing – what date do you plan to do this? Will the vendor’s processes align with yours? Dull I know but it has to be done. As you can see from these examples, with some planning and using available resources, MSPs/IT service providers can manage these pitfalls while building profitable businesses. Contact our sales and product specialists today on 0118 9898 222 to help you find the right solutions for your MSP business. Posted in Antivirus, Backup, Blue Solutions, Cloud, Disaster Recovery, Encryption, IT Automation, Managed IT Service, MSP, RMM on 01/04/2015 by MarkCharleton. Now that you understand how switching from break-fix to managed services can flip the switch on your business success, you’re ready to start capitalizing on the benefits of managed services. Asking your existing customers about their specific pain points and what services they need will provide strong signals on what direction you should take. Start with a customer satisfaction survey about what services customers would like to see in the future or schedule a one-on-one meeting with some of your top clients. Check time logs and past billings to find trends in frequently requested tasks that can be included in your SLA. 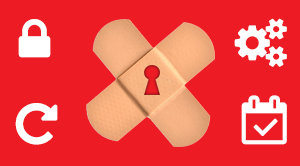 If you’re seeing recurring requests around patching, antivirus updates, malware removal or PC tune-ups, then you know just where to start. Read up on market research to help identify key opportunity areas. Check out industry insight like CompTIA’s Trends in Managed Services report. A keen examination of industry data can shine a light on the most commonly outsourced IT services and can also help you understand what drives client decisions. Attend user groups and start interacting with your peers. When like-minded professionals come together in a non-competitive environment, you can discuss issues specific to your shared experiences. Participants can network and benefit from shared best practices. Once you’ve got a handle on what your market needs most and you understand more about why businesses are outsourcing, you’ll be perfectly positioned to meet their specific needs. You can build out a plan for your managed services based on what will make you most valuable to your clients. This is just step one in your transition to managed services. Join us next for a look at your next step, assessing your skills and filling in the gaps. Want to know more about LabTech Software? Contact our Product Manager Jonatan Bucko on 0118 9898 210 for more information today. Posted in Blue Solutions, LabTech, Managed IT Service, MSP, RMM, Small Business, Uncategorized on 16/02/2015 by MarkCharleton. How to increase your revenue through business integration with LabTech and StorageCraft. How to Optimise your I.T. tasks with LabTech’s RMM Solution. Guarantee business continuity for your partners with StorageCraft Recover-Ability Solution. Connect and manage your endpoints on a single screen through the LabTech Platform. Posted in Backup, Blue Solutions, Disaster Recovery, LabTech, Managed IT Service, MSP, RMM, Uncategorized on 22/12/2014 by MarkCharleton. LabTech Software has announced it has reached a major milestone - 10 year anniversary! The developer of the only powerful, robust-featured remote monitoring and management (RMM) solution is proud to celebrate a decade of learning and progress. As the company continues to innovate its products, we are also looking forward to the release of LabTech 10 next year. This new release is another sign of the industry knowledge, learning experiences and partner feedback developed over the 10 years. You can read the full press release here. If you want to know more about LabTech Software RMM solution, contact our Sales Specialist on 0118 9898 222 today. Posted in Blue Solutions, LabTech, Managed IT Service, RMM, Uncategorized on 18/12/2014 by MarkCharleton. No more babysitting your technology! With LabTech Software's Autotask Plug-in 6.0 you can spend more time on your IT business and less time worrying about what your technology. The Autotask Plug-in 6.0 for LabTech provides the deepest level of remote monitoring and management (RMM) integration with Autotask available on the market today. The plug-in provides seamless continuity to ensure productivity and enable worry-free automation. Posted in Blue Solutions, LabTech, Managed IT Service, MSP, RMM, Small Business, Uncategorized on 02/12/2014 by MarkCharleton.